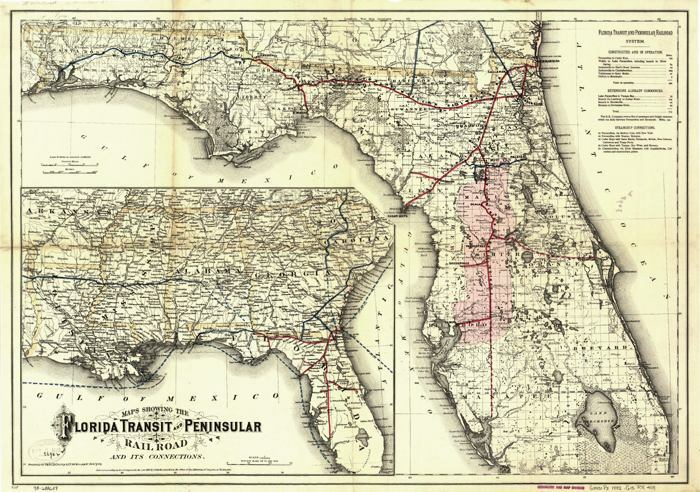 Description: This map covers Florida and vicinity and indicates drainage, cities and towns, township and county boundaries, railroads, and the 15-mile railroad land grant limits surrounding the track in central Florida as well as a list of distances for lines in operation and under construction. The map legend also shows steamship connections at Fernandina and Cedar Keys, and river steamers at Chattahoochee. The general map shows connections to southern and Gulf states.